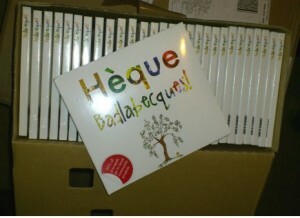 Jersey's very own Jèrriais singing pop-folk band, Badlabecques, is celebrating it's debut album - ‘Hèque Badlabecques!’ - receiving the Genuine Jersey mark, a year after it was launched in the Royal Square on Jersey Reform Day, 28th September 2012. To mark the occasion, and in keeping with the band's vision to make Jèrriais culture more contemporary, they are releasing the 'stems' - or separate tracks - of one of their songs for local DJs and producers to 'remix' in an open competition. The first prize will be £50.00 retail vouchers (£25.00 for Genuine Jersey products and £25.00 for White Label Records), with a second prize of £30.00 retail vouchers (£15.00 for Genuine Jersey products and £15.00 for White Label Records). Lead singer and co-founder of the band Kit Ashton reflects on a busy year: "The fact that this is currently the only music album to be allowed to use the Genuine Jersey Mark is a great moment for us. It's really the culmination of a lot of dedication and hard work that not only went into making it locally, but also in promoting it by performing all over Jersey, as well as in Sark, Guernsey and France. 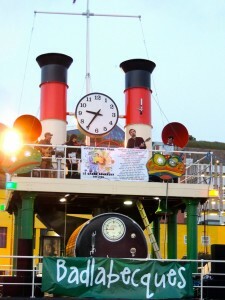 In many ways Badlabecques is more than just a band - it's a really unique cultural project that I hope will encourage more people to engage with Jersey's special culture and language, learn some Jèrriais, and be entertained along the way." The Chief Executive of the Genuine Jersey Products Association, John Garton, says: "The Genuine Jersey Products Association Management Committee approved Badlabecques application for their ‘Hèque Badlabecques!’ album to carry the Genuine Jersey mark as the tracks on the album were arranged, recorded, mixed and then mastered by them in the Island. Clearly it is also great that the lyrics are in Jèrriais and they aim to encourage people to engage with Jersey's special culture and language." 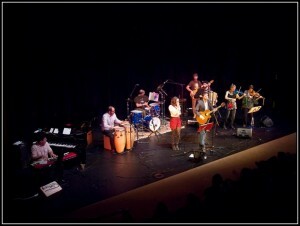 The album is available locally and has also generated interest all over the world, with CDs being ordered from French Canada to China and New Zealand, as well as elsewhere. Fifty per cent of the proceeds from the sale of the album go to local community projects - 25% to L’Assemblieé d’Jèrriais, for the promotion and development of the Jèrriais language, and 25% to La Motte Street Studios, to help support local young musicians. Kit is now hoping the remix competition will yield some interesting results: "The stems we're releasing are for a very upbeat, danceable song called 'Jean Gros Jean' so with any luck we'll get some great electro/house remixes, or maybe even some whacky dubstep or drum'n'bass versions - who knows!" 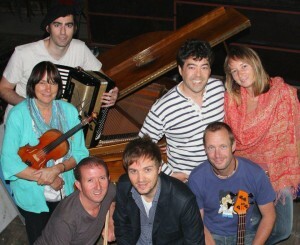 The best remixes will be streamed for free from the band's website www.badlabecques.net and the winners will be announced in December when Badlabecques will be releasing a Christmas album. To enter the competition to to www.badlabecques.net and download the .zip file containing the stems, then email your remix in mp3 format to kit@kitashton.com before the end of November.